Welcome to Modern Vox!!! This baby comes fully loaded with ALL KINDS OF CHANTS, SHOUTS, PHRASES AND SPECIAL EFFECT VOCALS too add that touch of sauce to your productions. 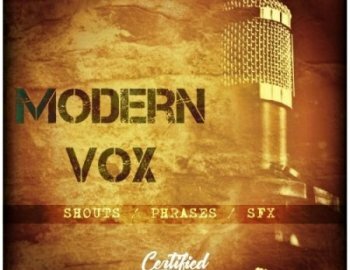 Whether you producer Trap, Rnb, Hip Hop, Dubstep, EDM or Drum n Bass we got you covered with over 70 custom made vocals ready to go in your productions! Comes in 24-Bit 96 khz format and their ALL ROYALTY-FREE of course yo! Works in any DAW you throw at it!